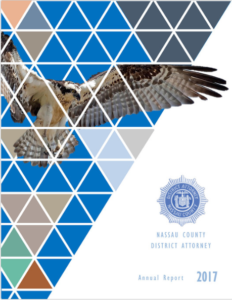 Wanted to share some good news this morning… The Nassau County DA’s office has published their 2017 Annual Report, which features a number of images created by our club members! Please take a few moments to view the report at the link provided below, including an acknowledgement to the club at the end of the report. Congratulations to all those who had images selected for use in the report, and I’ll keep you posted as we continue working with the county to showcase more of the club’s creativity!